In 1914, St. Augustine Parish opened its grammar school under the direction of the Sisters of Notre Dame de Namur, who continue to serve our parish today. In its first four years, classes were conducted in the convent. 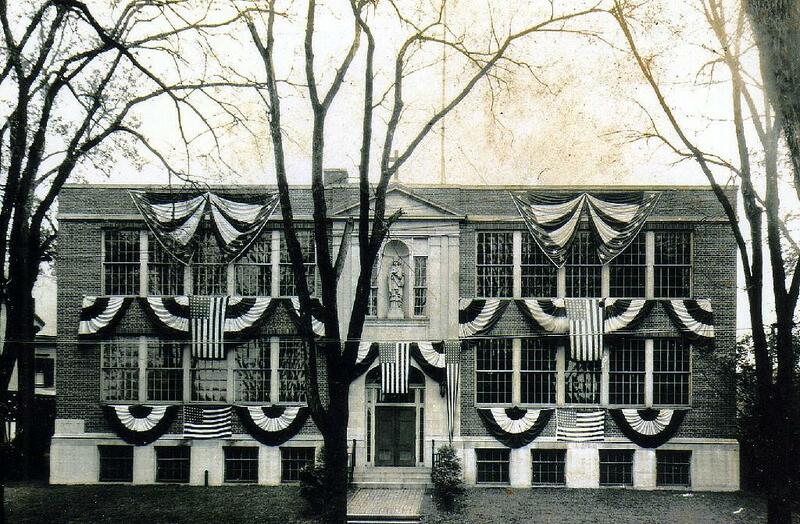 In 1918, our current school building opened its doors to the excitement of children and their grateful parents. In the years 1959 to 1961, under the pastorate of Fr. Henry Smith, O.S.A., an addition to the school was built that doubled its capacity. St. Augustine School provides a high-quality Catholic education to children in Nursery through Grade 8. In an environment that supports, encourages, and nurtures spiritual, intellectual, social, and personal growth, St. AugustineSchool accepts and embraces the traditions and challenges of educating children to be faithful, confident, and competent. Our commitment to sharing the Gospel teachings and encouraging students to model those teachings in all they do makes us distinctively different. A dedicated and qualified faculty and staff, in cooperation with caring parents, share the awesome responsibility of helping students recognize their individual potential and encouraging them to set and achieve meaningful goals. We welcome the opportunity to share our good news and invite interested families to visit us to experience the wonderful spirit of St. Augustine School.